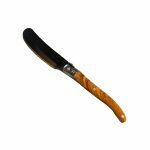 A stunning olive wood serving board with handle. 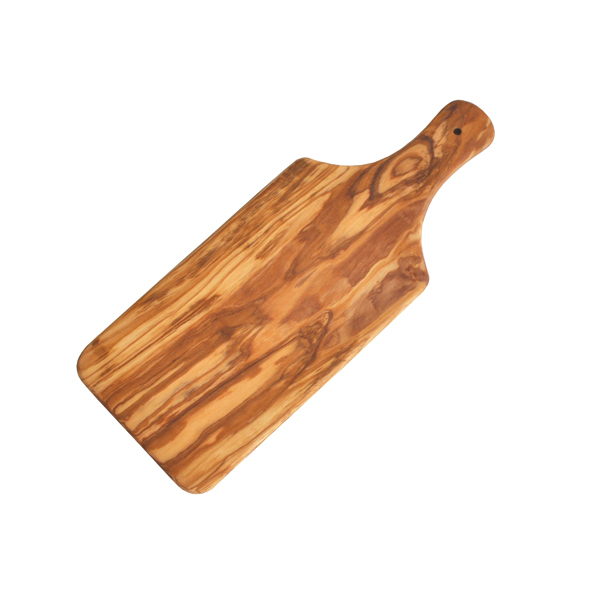 This wooden board can be used as an olive wood cheese board, serving board, cutting board or presentation board. With a handle for easy carrying this board is not only beautiful but practical too. Olive wood is patterned by the beautiful natural grain so each one is unique. Olive wood boards are hardwearing and very durable.